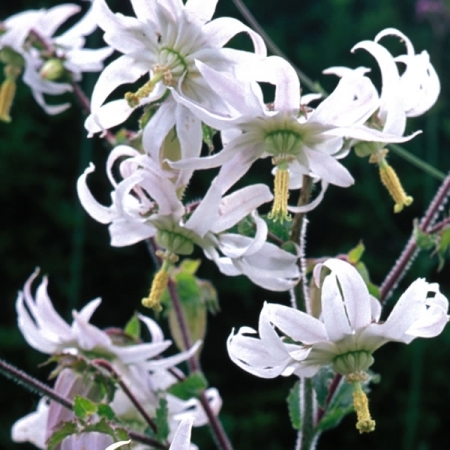 An outstanding plant with pure white reflexed flowers and possibly 10-12 petals surrounding a distinct crown shaped centre and long deep cream stamens. Very choice and not to be missed. HB/HP. Sow the seed thinly in a 4” pot and cover with a light layer of seed compost maintaining a temperature of more or less 70 F.
On emergence of the seedlings and at the 4 leaf stage, transplant into individual 3” pots. Pot on as the roots expand until you finally reach a 6” pot or alternatively plant out into the garden. Keep frost free during the winter.